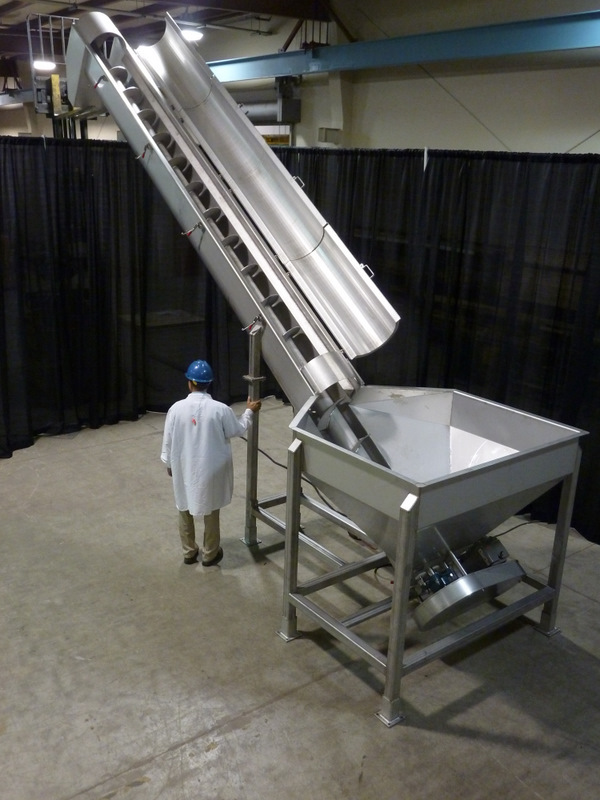 Millard's Creeper Conveyor or Accumulation Conveyor is designed to accept dumped products from combos, vats, or barrels. 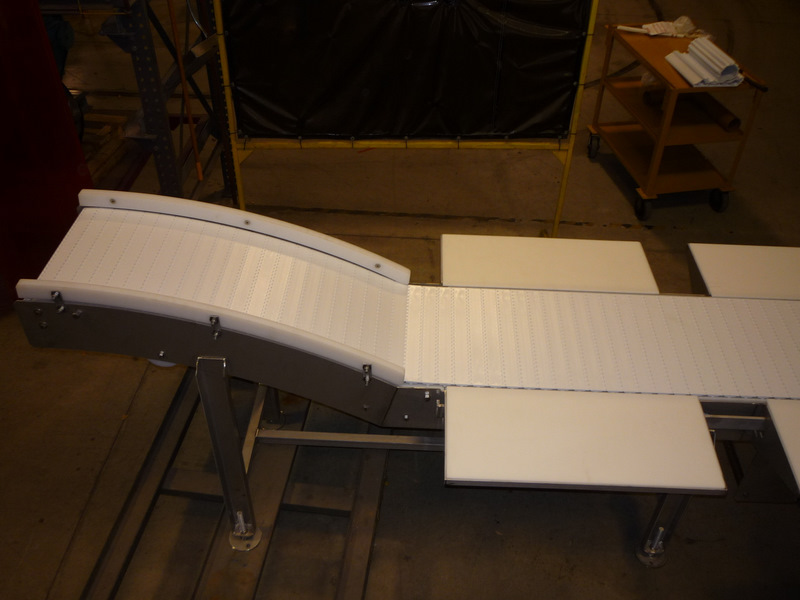 The slow pace conveyor collects products on the conveyor belt surface to be slowly forwarded into further processing operations and released as the line pace requires. 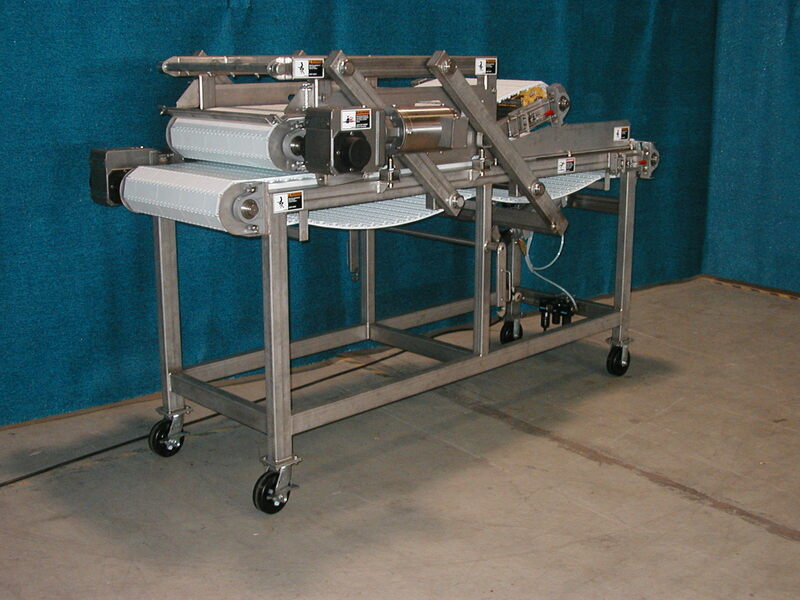 As with all our belt conveyors, custom lengths, widths, and configurations are available. Millard's Ham Tumblers are built to last with heavy duty stainless steel material. 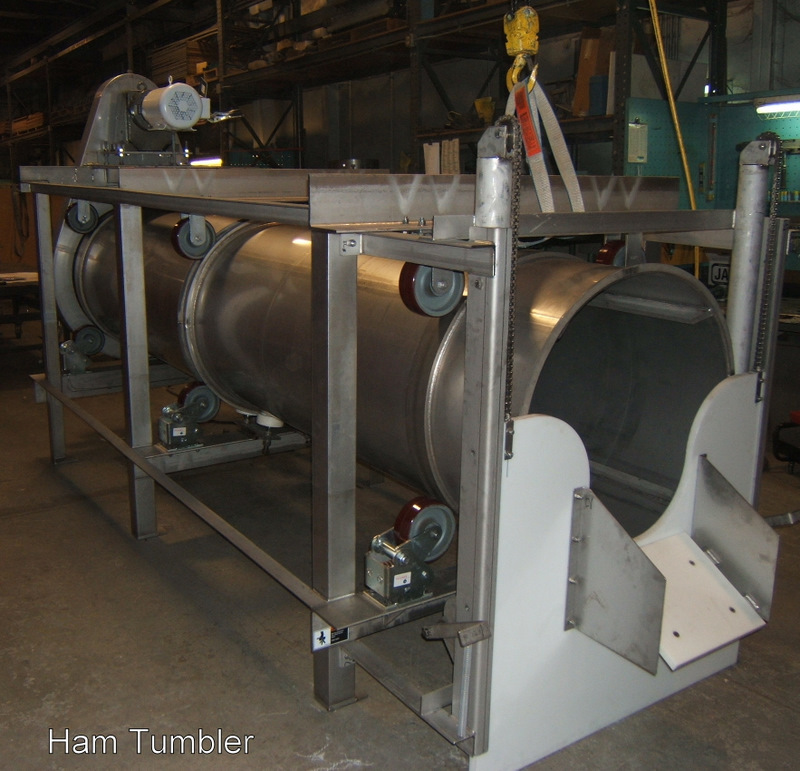 Our Tumbler or Conditioner is a 36" drum that tumbles the hams to condition them for the next process which could involve bone-In hams, boneless hams, or skinning. 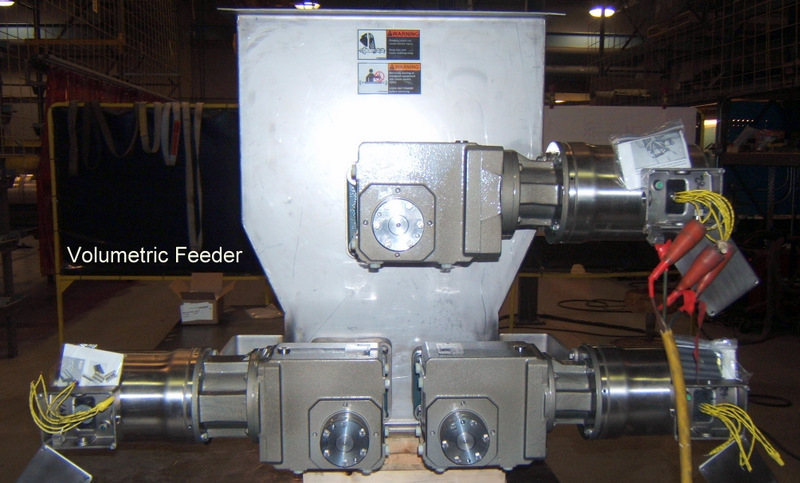 Millard's Hydraulic Barrel Dumper has a wide variety of uses in many food industries. 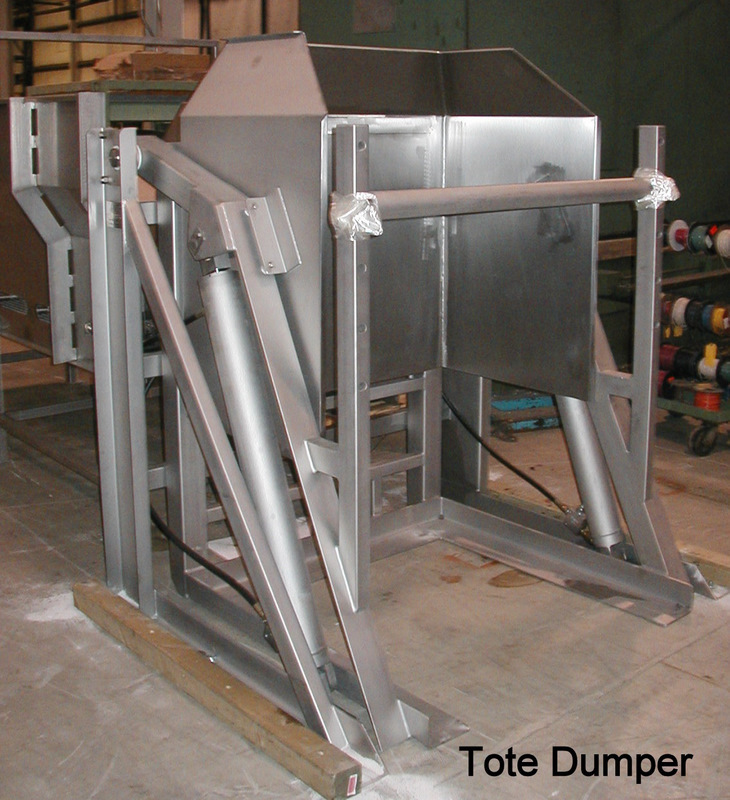 Our unit is all stainless steel heavy duty and provides a smooth, efficient, clean, reliable, safe and sanitary method for dumping barrels and drums. The unit is constructed of heavy duty stainless steel material and is provided as a complete system with or without a stainless hydraulic power pack. The power pack can be configured and located to suit your needs. 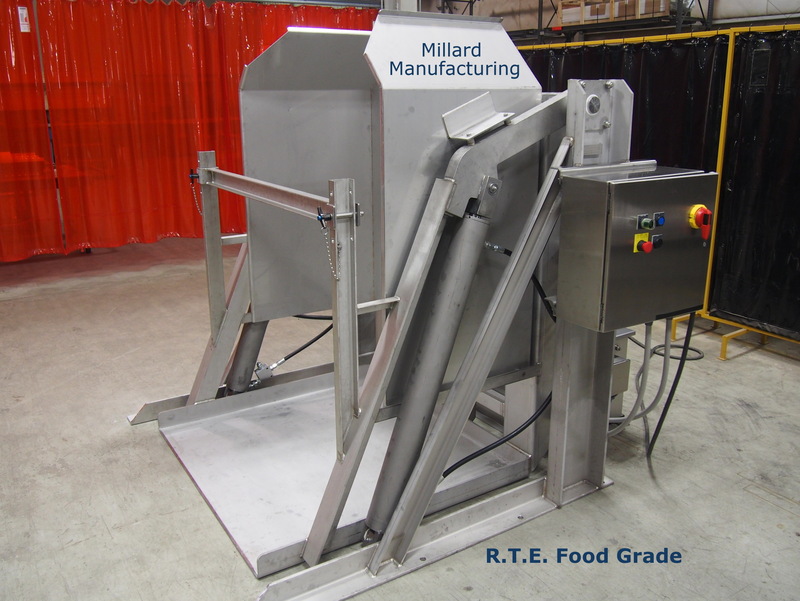 Millard's Hydraulic Combo Dumper is similar to our Vat Dumper and has a wide variety of uses in many food industries and is especially suited for dumping cardboard combos in Pork Further Processing. Our unit is all stainless steel heavy duty and provides a smooth, efficient, clean, reliable, safe and sanitary method for dumping your products. 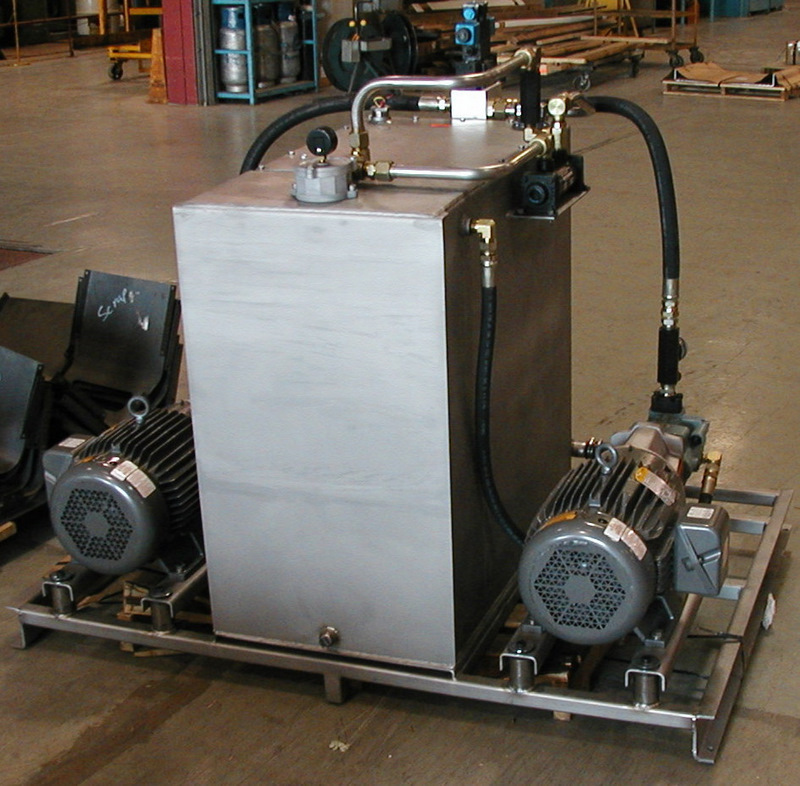 We provide the system complete with or without a stainless hydraulic power pack that can be configured and located to suit your needs. 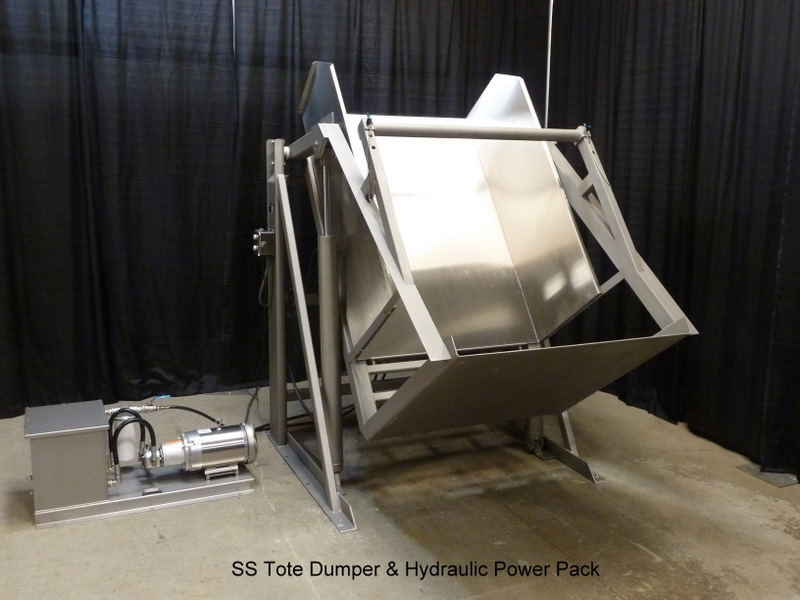 Millard's Hydraulic Vat Dumper is similar to our Combo Dumper and has a wide variety of uses in many food industries. Our unit is all heavy duty stainless steel and provides a smooth, efficient, clean, reliable, safe and sanitary method for dumping your products. 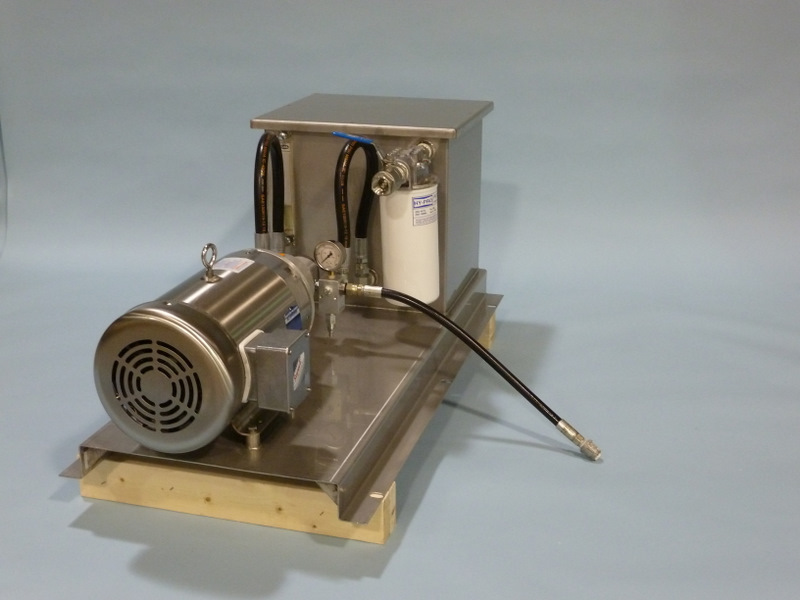 We provide the system complete with a stand alone stainless steel hydraulic power unit. 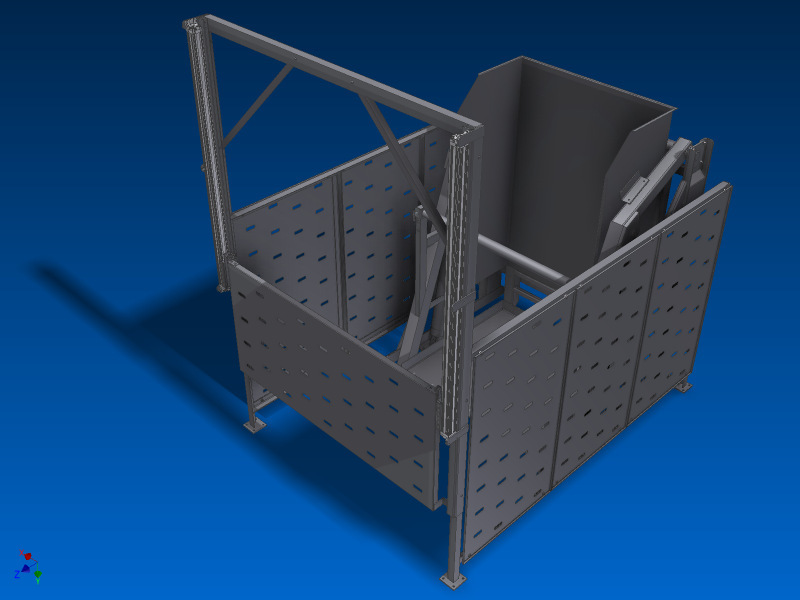 We can also provide Combo and Barrel dumpers as needed. 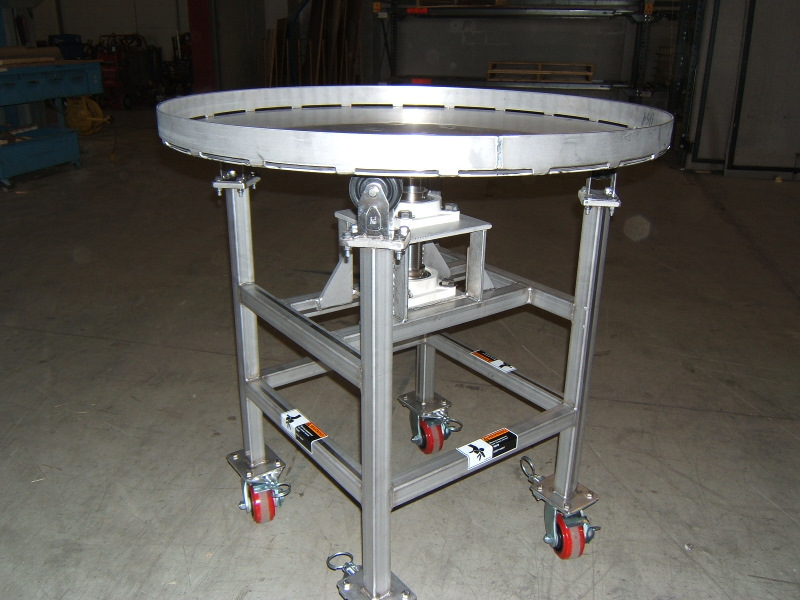 Our Lazy Susan turn tables are used for product accumulation common to further processing and pack off areas. Standard sizes are 48" and 60". 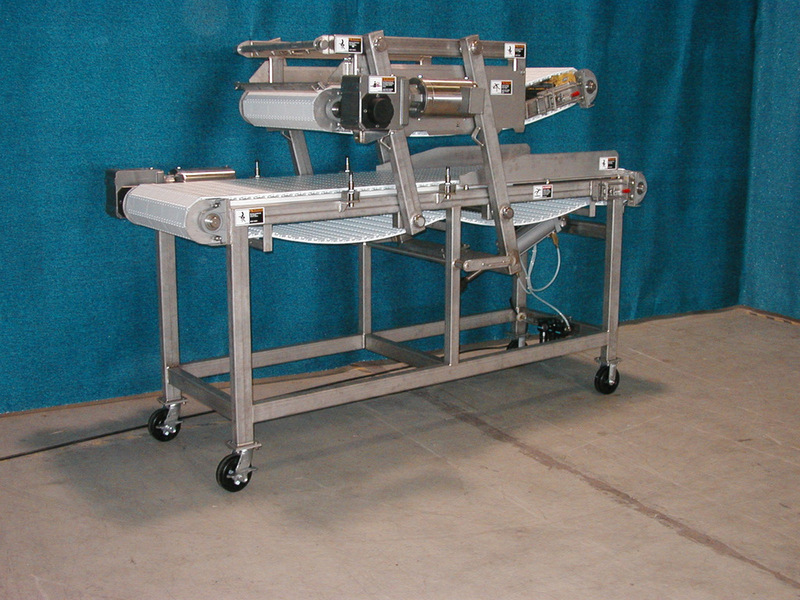 Millard's Metal Detector conveyor is our standard hygenic heavy duty conveyor design integrated with a SAFELINE® metal detector. 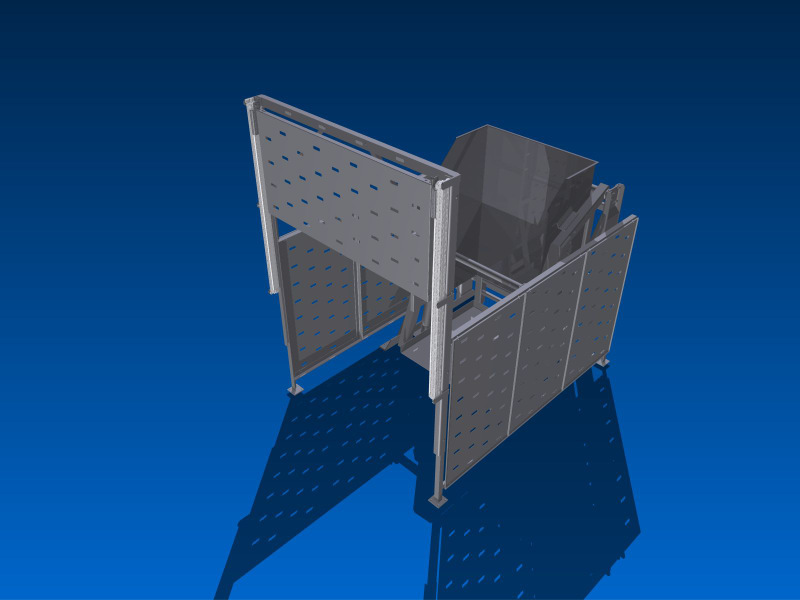 We build the complete line with the metal detector, standard plastic belting, and a removable metal-free zone section. 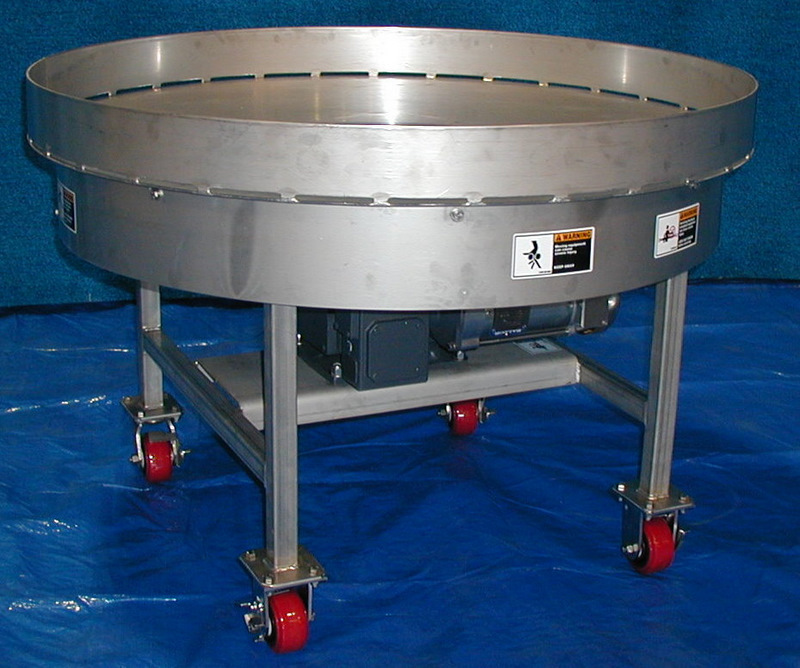 Millard's unique Smoked Belly Press provides a symmetrical method for flattening hog bellies just prior to processing or blast freezing. Our Belly Press is an in-line operation paced to the line speed providing a uniform flattening process that is easily integrated, easily operated, and easily cleaned. See our "Case Study" for more details. 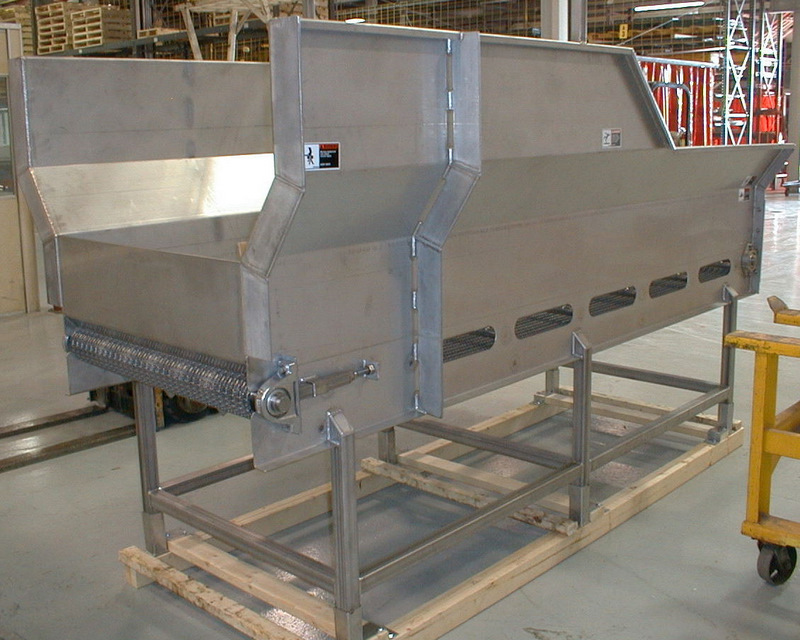 Millard's SS Screw Conveyors transfer and deliver product from one process to another or into containers. 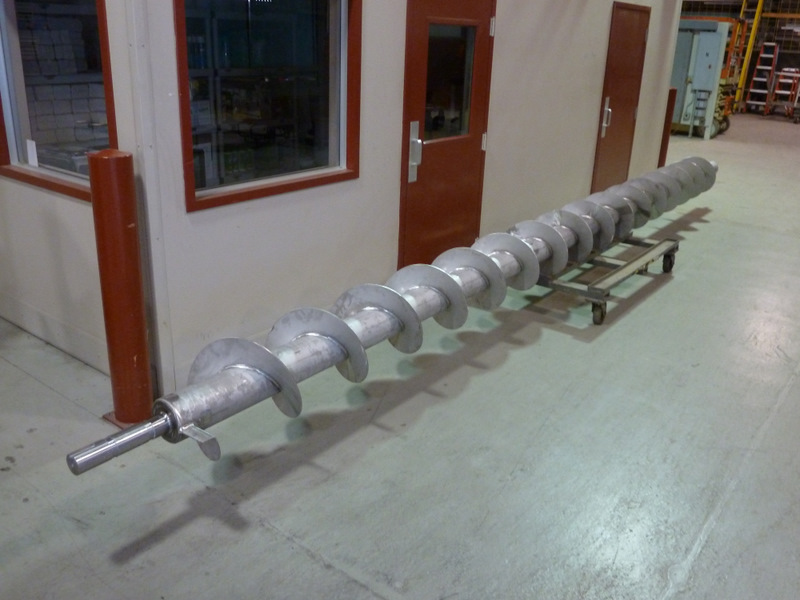 We produce 6", 9", 12", and 20" screw models. Mostly used on fat, trim, hams, muscles and other similar products. 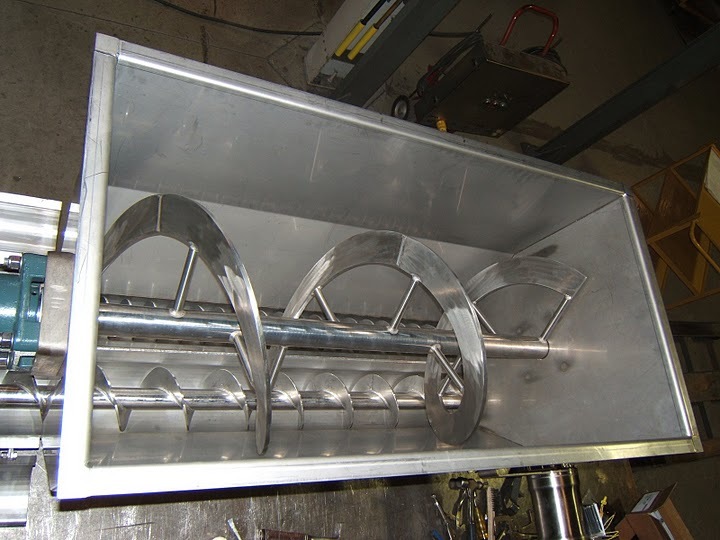 See our stainless sanitary Augers in the Support Equipment/Services category for more details and options. 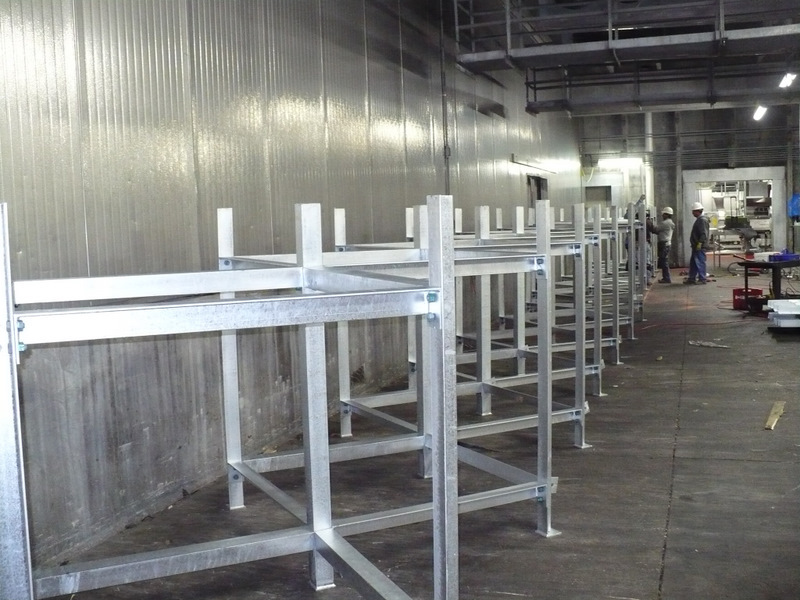 When a standard rack system will not work or painted carbon steel is not sanitary enough, Millard offers custom built Stainless Steel Storage Racking. 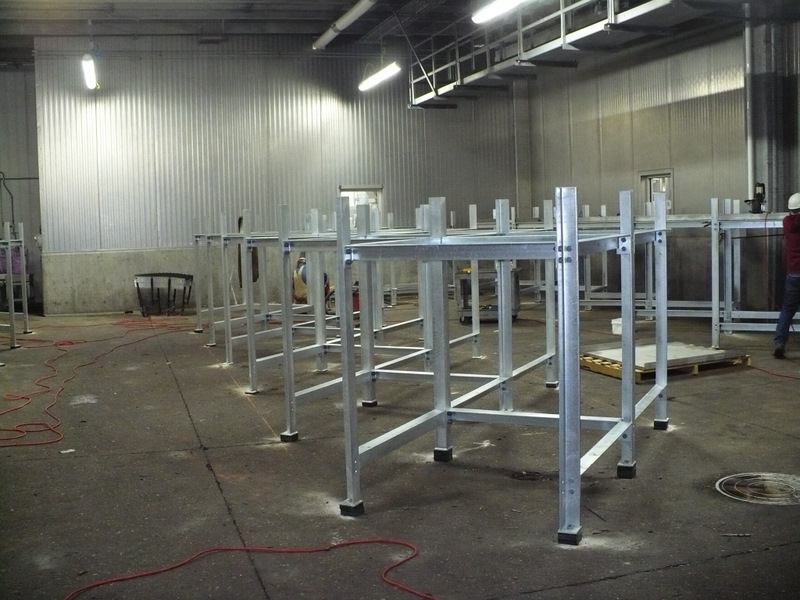 We can engineer and custom build to fit your containers, vats, or combos. 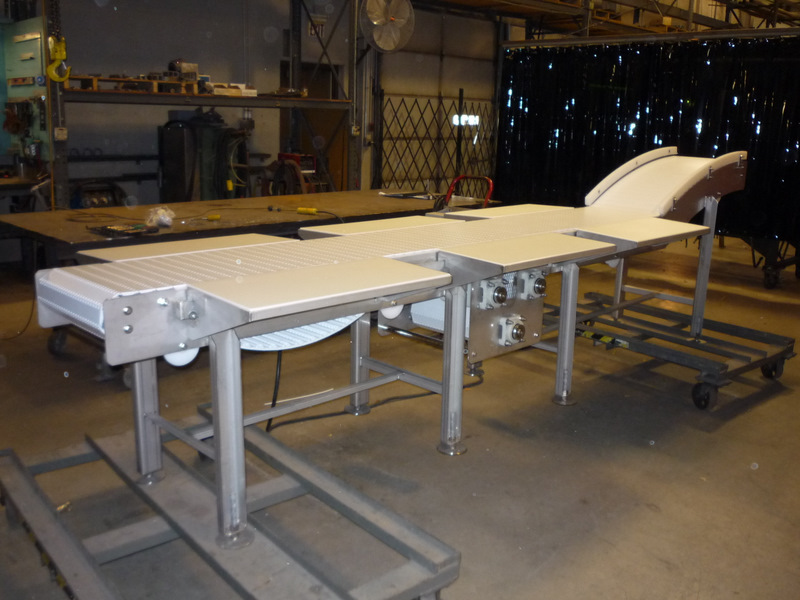 Our Tray Pack Conveyor w/Tray Stations provides a multiple conveyor system applicable for all cuts of pork. 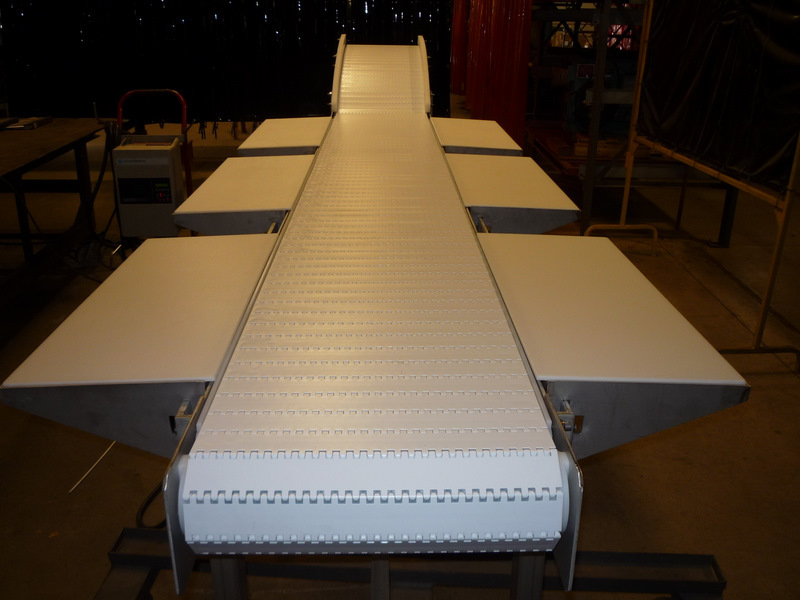 We provide a standard 18" center conveyor delivering the product while an overhead shelf houses the trays for production. 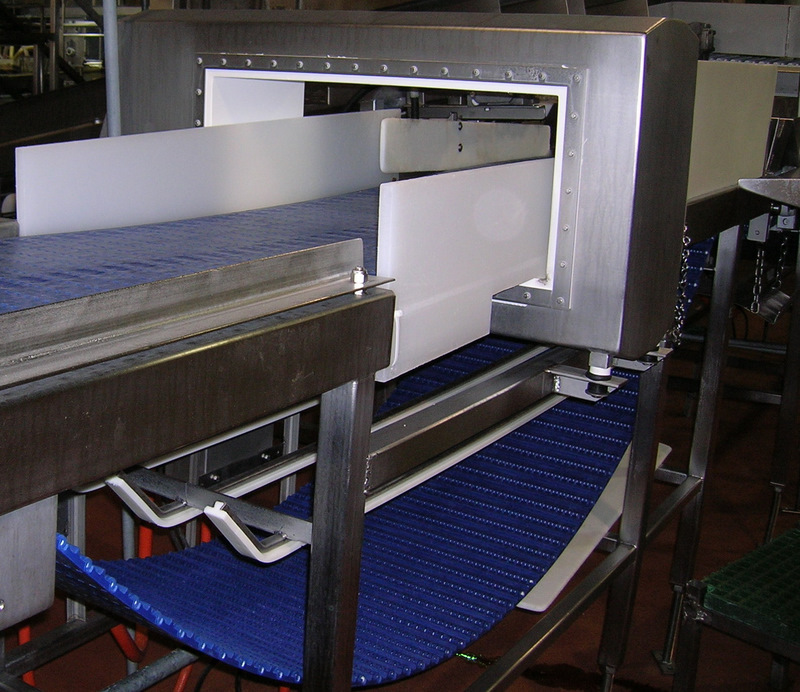 A lower conveyor takes away the package or trimmed product that is processed on moveable trays along the main center conveyor. 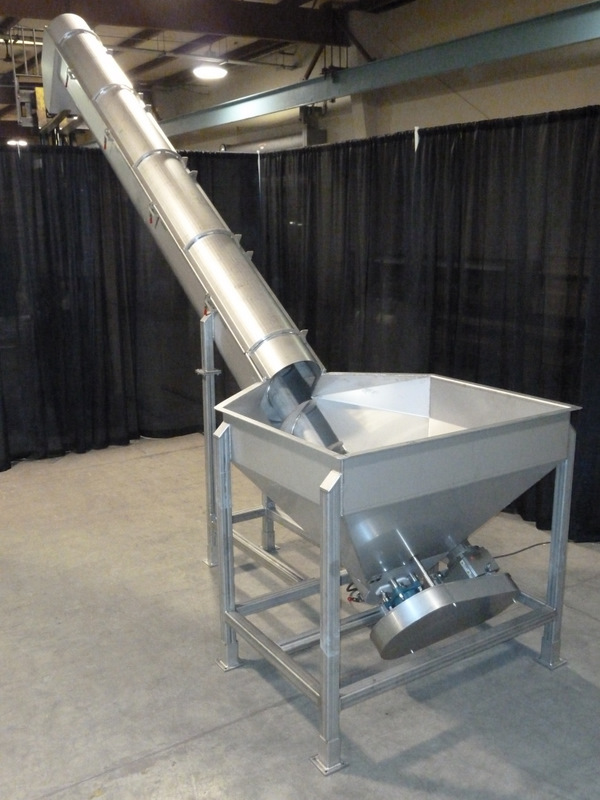 Millard produces some highly specialized machinery like our Volumetric Screw Hopper. 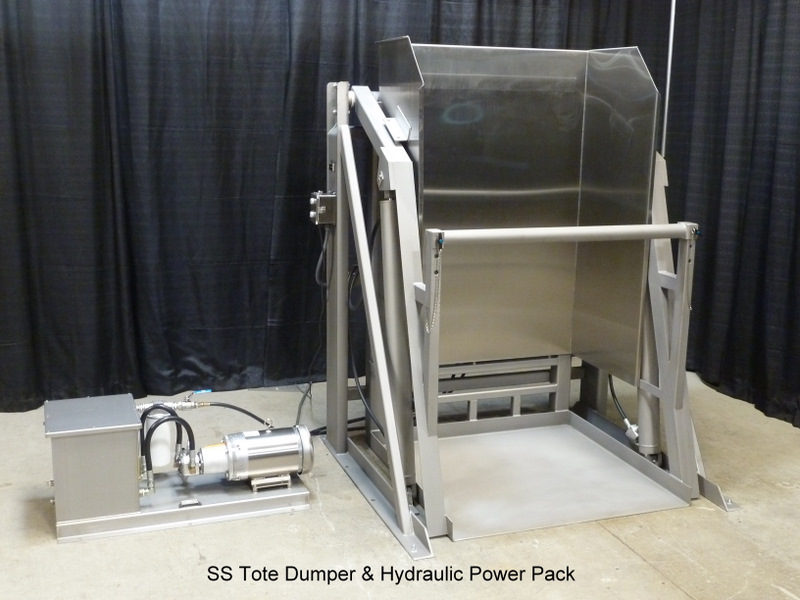 This equipment uses a two-screw dispensing system to present an exact amount of product (generally tissue type like Hamburger) into a weigh hopper or scale for a secondary operation.